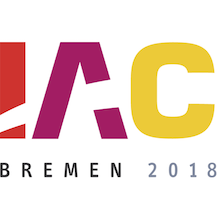 After careful review of the three proposals to host IAC 2018, received for Bremen (Germany), Vienna (Austria), Punta del Este (Uruguay), the IAF General Assembly at its second session on 16th October selected Bremen as Host City for IAC 2018. The Hosting Organization is the ZARM Drop Tower Operation and Service Company, a member of IAF since 1997. AT IAC 2019, YOU CAN EXPECT NEARLY 200 TECHNICAL SESSIONS, DAILY PLENARY SESSIONS, PANEL DISCUSSIONS AND SPECIAL EVENTS THAT WILL INSPIRE GLOBAL INNOVATIONS IN SPACE. The congress theme, “Space: The Power of the Past, and the Promise of the Future” provides a foundation for a program that will bring together people all over the world who have been involved in some of the most pivotal space endeavors, as well as the international technical experts and scientists who are making the biggest breakthroughs of our day—including those who are on the brink of the next big leap for mankind. More information on the program will be available after the 68th International Astronautical Congress in Adelaide, Australia from 25-29 September 2017 and the 69th International Astronautical Congress in Bremen, Germany from 1-5 October 2018. If you would like for us to contact you with program updates, please click here to sign up for alerts.